Vulcanization – Hartline Supply Inc. 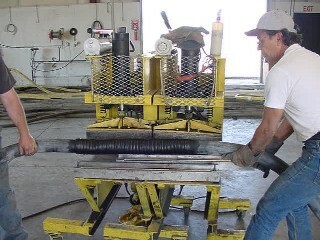 The completed splice is being placed into the proper size mold then loaded into the vulcanizer. It will be vulcanized for the proper amount of time and temperature needed. 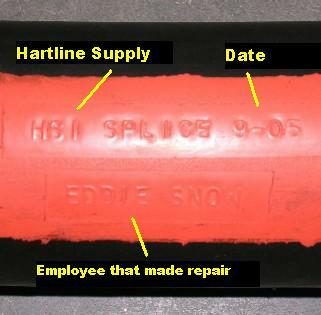 We mold company name (HSI), repairing employee name and date of repair into each splice vulcanization.